CLICK HERE TO WATCH FRUSTRATED & DESPERATE!! 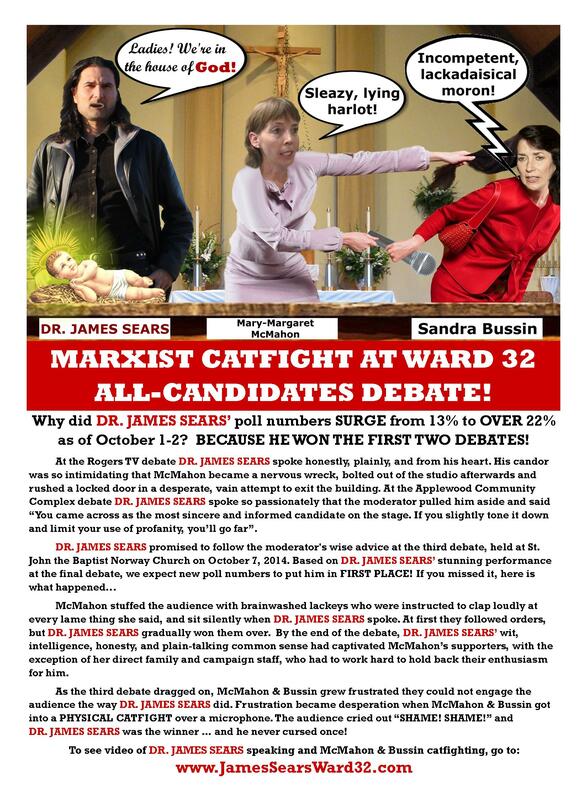 The Mary-Margaret McMahon & Sandra Bussin CATFIGHT at Ward 32 debate, St John the Baptist Norway Church. 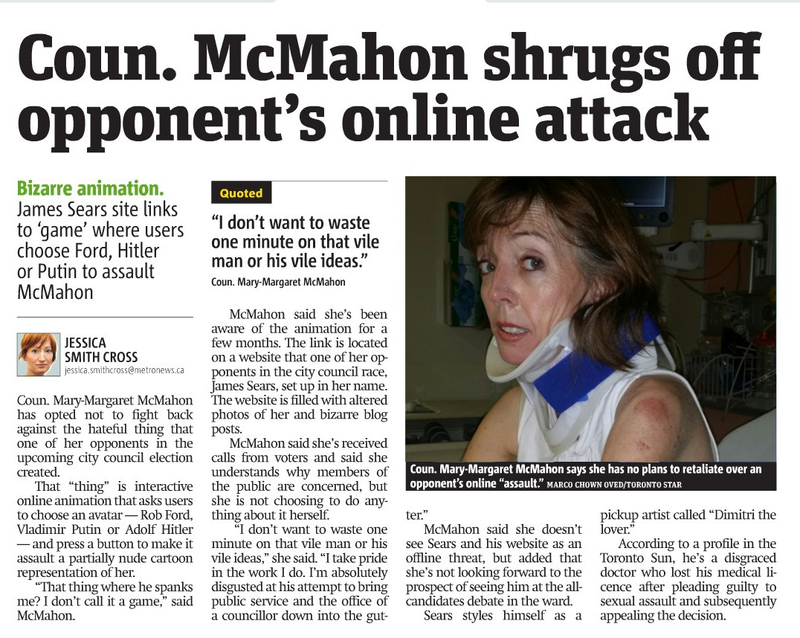 Click Here To Spank Councillor McMahon! "James Sears is a PAIN in my neck!" 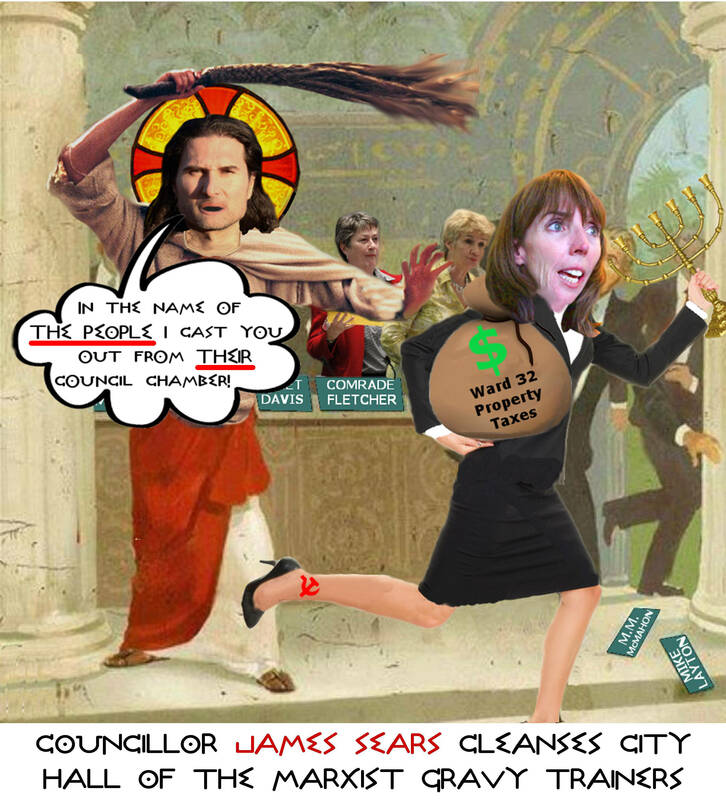 READ MORE: She's not looking forward to the prospect of seeing (James Sears) at the all-candidates debate. Around one billion liters (the size equivalent of 400 Olympic-sized swimming pools) of human sewage poured into our Lake. What is the exact reason for our inability to cope? The main reason is entirely in the hands of condo developers and the corrupt city councillors who bend backwards for them. 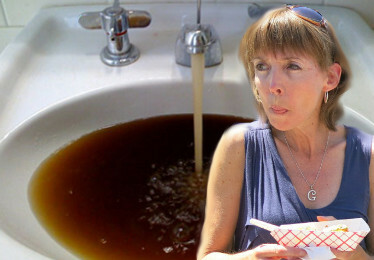 We believed that our local councilor McMahon was merely inept, but we’ve since learned that she’s more than willing and capable of destroying our beloved neighborhood. We apologize for ‘going light’ on her. 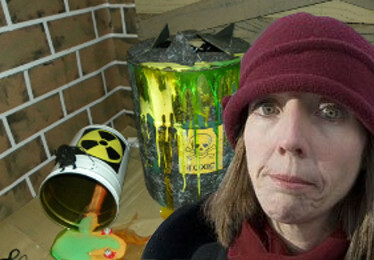 Our councilor showed no concern about the cancer causing benzene and chemical soup in the Beaches! All aboard the gravy train. Merrily-Spending McMahon and a cabal of conspiring cohorts have literally, and criminally usurped the position of our elected government. 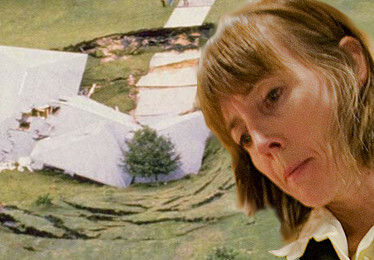 Unlike Mayor Rob Ford, Mary-Margaret McMahon was elected on a domino set of lies. 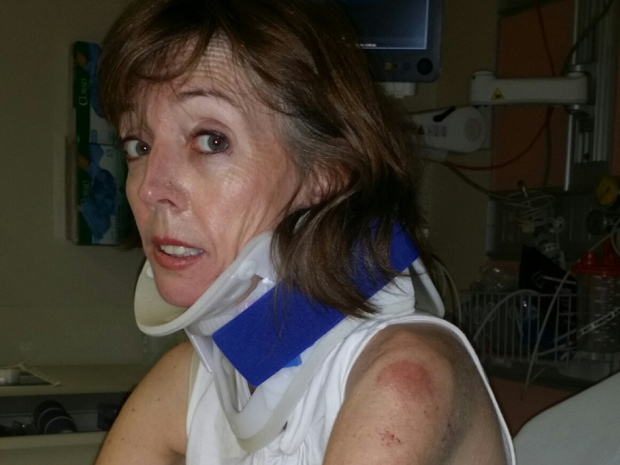 Who stole Mary-Margaret McMahon's bicycle? The bike, valued new at $500 gives renewed vigor to McMahon's $1.2 million dollar scheme to build an absolutely ludicrous den of iniquity. Stick it to the motorists! 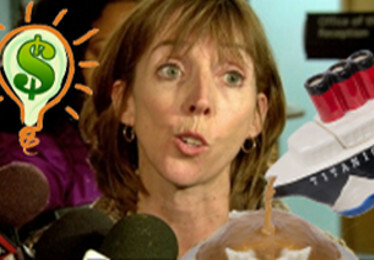 I will vote against all gravy, I will scream “NO” when the thieves at city hall steal your money! Dedicated to holding city councilors accountable to their constituents. Warning about the dangers of the type of Marxism practiced by Mary-Margaret McMahon.